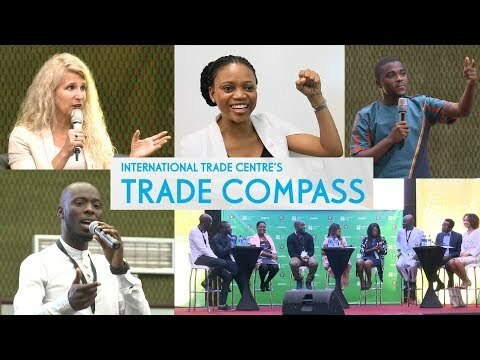 The International Trade Centre (ITC) has joined forces with members of the World Alliance for Quality to launch the Global Platform for Quality (GPQ), an initiative that seeks to enable small and medium-sized enterprises (SMEs) to meet the growing array of technical requirements and standards, including private standards, demanded by international buyers. The collaboration between ITC, the American Society for Quality (ASQ), the European Organization for Quality (EOQ), the International Academy for Quality (IAQ), and the Union of Japanese Scientists and Engineers (JUSE) was announced at the 60th EOQ Congress, which was held in Helsinki, Finland from 1-2 June. Through the GPQ, institutions promoting the development of effective quality management and assurance systems and related best practices will be able to offer - jointly with ITC - a selection of their services and share their experiences globally. The GPQ will serve as a joint outreach platform for SMEs to access talent and expertise, advisory services, professional development, certification and other support. ‘Given the increasing pressure on exporting SMEs in developing countries to competitively comply with a multitude of quality-related regulations, standards and other market-access requirements, there is an urgent need for a rapid, innovative and effective transfer of knowledge and know-how to businesses on best practices in quality management,’ said Marcos Vaena, head of enterprise competitiveness at ITC. The GPQ will also help develop and reinforce local quality-related support institutions to offer new or enhanced services to SMEs. Issue-specific support will allow for quality-related service providers and local experts to access talent and expertise across borders and regions. Similarly, the GPQ will facilitate the sharing of best practices and success stories and create a global network of service providers committed to supporting SMEs in developing countries. About ASQ – ASQ is a global community of people dedicated to quality that shares ideas and tools that make our world work better. With millions of individual and organizational members of the community in 150 countries, ASQ has the reputation and reach to bring together quality champions who are transforming the world’s corporations, organizations and communities to meet tomorrow’s critical challenges. For more information, visit asq.org. About EOQ – EOQ is the main European interdisciplinary organization striving for effective improvement in the sphere of quality in the broadest sense, acting as the coordinating body and catalyst of its national representative organizations. For more information, visit www.eoq.org. About IAQ – IAQ is a community of the world's leading executives, practitioners and academics dedicated to promoting the cause of quality. For more information, visit www.iaqweb.net. About JUSE – JUSE is a not-for-profit organization established in 1946 to promote total quality management in the field of corporate management. For more information, visit www.juse.or.jp/english.